At the Google I/O conference in San Francisco on May 10, 2011, we announced that the Go language is now available on Google App Engine. 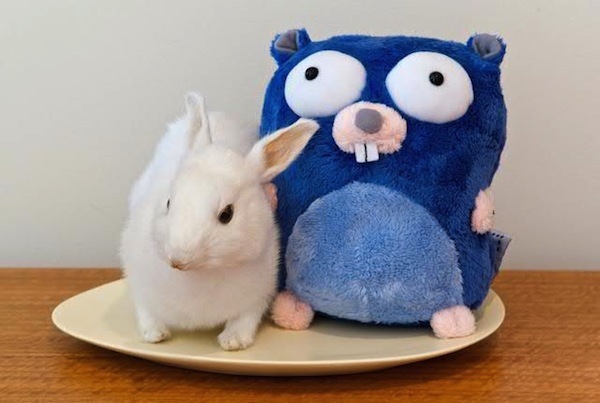 Go is the first language to be made available on App Engine that compiles directly to machine code, which makes it a good choice for CPU-intensive tasks such as image manipulation. Although most images on the web—at least those likely to be moustachioed—are JPEGs, there are countless other formats floating around, and it seemed reasonable for Moustachio to accept uploaded images in a few of them. JPEG and PNG decoders already existed in the Go image library, but the venerable GIF format was not represented, so we decided to write a GIF decoder in time for the announcement. That decoder contains a few pieces that demonstrate how Go's interfaces make some problems easier to solve. The rest of this blog post describes a couple of instances. A GIF image can contain anywhere from 1 to 8 bits per pixel, inclusive, but 8 bits per pixel is the most common. Here order defines the bit-packing order and litWidth is the word size in bits, which for a GIF file corresponds to the pixel depth, typically 8. But we can't just give NewReader the input file as its first argument because the decompressor needs a stream of bytes but the GIF data is a stream of blocks that must be unpacked. To address this problem, we can wrap the input io.Reader with some code to deblock it, and make that code again implement Reader. In other words, we put the deblocking code into the Read method of a new type, which we call blockReader. Here's the data structure for a blockReader. r     reader    // Input source; implements io.Reader and io.ByteReader. slice byte    // Buffer of unread data. tmp   byte // Storage for slice. The reader, r, will be the source of the image data, perhaps a file or HTTP connection. The slice and tmp fields will be used to manage the deblocking. Here's the Read method in its entirety. It's a nice example of the use of slices and arrays in Go. Lines 2-4 are just a sanity check: if there's no place to put data, return zero. That should never happen, but it's good to be safe. Line 5 asks if there's data left over from a previous call by checking the length of b.slice. If there isn't, the slice will have length zero and we need to read the next block from r.
A GIF block starts with a byte count, read on line 6. If the count is zero, GIF defines this to be a terminating block, so we return EOF on line 11. Now we know we should read blockLen bytes, so we point b.slice to the first blockLen bytes of b.tmp and then use the helper function io.ReadFull to read that many bytes. That function will return an error if it can't read exactly that many bytes, which should never happen. Otherwise we have blockLen bytes ready to read. Lines 18-19 copy the data from b.slice to the caller's buffer. We are implementing Read, not ReadFull, so we are allowed to return fewer than the requested number of bytes. That makes it easy: we just copy the data from b.slice to the caller's buffer (p), and the return value from copy is the number of bytes transferred. Then we reslice b.slice to drop the first n bytes, ready for the next call. This wrapping turns a block-delimited GIF image stream into a simple stream of bytes accessible by calls to the Read method of the blockReader. The first line creates a blockReader and passes it to lzw.NewReader to create a decompressor. Here d.r is the io.Reader holding the image data, lzw.LSB defines the byte order in the LZW decompressor, and litWidth is the pixel depth. Given the decompressor, the second line calls io.ReadFull to decompress the data and store it in the image, m.Pix. When ReadFull returns, the image data is decompressed and stored in the image, m, ready to be displayed. This code worked first time. Really. We could avoid the temporary variable lzwr by placing the NewReader call into the argument list for ReadFull, just as we built the blockReader inside the call to NewReader, but that might be packing too much into a single line of code. Go's interfaces make it easy to construct software by assembling piece parts like this to restructure data. In this example, we implemented GIF decoding by chaining together a deblocker and a decompressor using the io.Reader interface, analogous to a type-safe Unix pipeline. Also, we wrote the deblocker as an (implicit) implementation of a Reader interface, which then required no extra declaration or boilerplate to fit it into the processing pipeline. 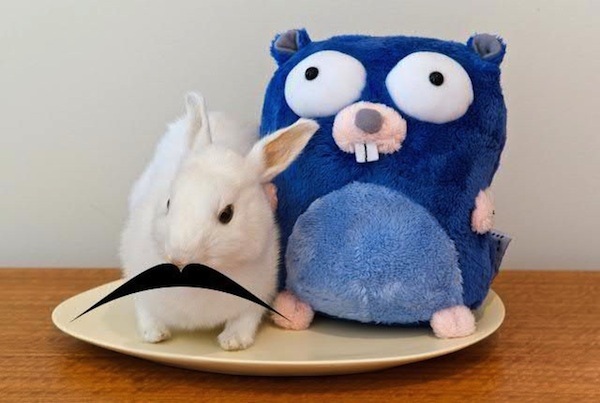 It's hard to implement this decoder so compactly yet cleanly and safely in most languages, but the interface mechanism plus a few conventions make it almost natural in Go. The GIF format is defined at http://www.w3.org/Graphics/GIF/spec-gif89a.txt.